Russ Loede at NFLGridironGab.com wrote a piece on Monday about the needs of teams that didn’t make the postseason in 2010, and their needs in the upcoming April Draft. Here’s what he had to say about the Lions and their needs. 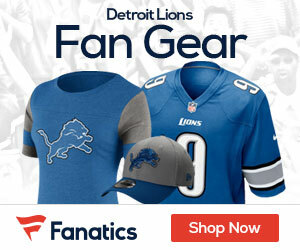 Detroit Lions, 13th Overall Pick – Need: CB. Answer: Jimmy Smith, Colorado. Just like with Minnesota, the weakness in the Detroit defense lies in the back seven, especially the secondary. The front four is getting the job done pressuring the QB, it’s more part of the solution than the problem. With selecting Smith, granted he’s still there, it will give the Lions another CB/S hybrid to team up with last year’s draftee Amari Spievey (3rd round, Iowa), who can make plays in the defensive backfield against the likes of Cutler and Rodgers within the division. Add Smith to the equation, and all of a sudden this group looks dramatically better considering the young guys around him (Louis Delmas, Alphonso Smith, Spievey) will up their game to the next level. Smith’s a ball hawk who can cover a lot of ground with his range and he’s one of the type of players that can get the Lions back into the Playoffs. It reminds me of the situation of Dominique Rodgers-Cromartie with the Cardinals in ’08. A quality playmaking DB who can make a difference for a team on the cusp of something special. A high-caliber contributor who can boost Detroit’s chances of contending in a tough NFC North.